Silicon Valley is thriving and so is Rapid Recovery! Not only is San Jose home to a growing network of tech and green companies, but it’s also a prime partner for Rapid Recovery. 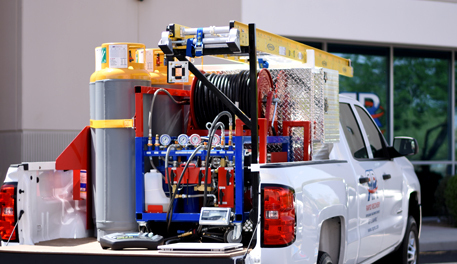 With server rooms, high-rise office buildings and demolition/construction projects ongoing, Rapid Recovery’s mobile refrigerant recovery services serve a vital need. Doing what we do best–high speed refrigerant recovery–our team of EPA-certified recovery experts will help you focus on doing what you do best. All the while, we eliminate the need to worry about EPA compliance, documentation or tying up your technician’s valuable time on recovery. Regardless of what is going on in the South Bay, Rapid Recovery keeps you connected to the current refrigerant recovery and refrigerant abatement practices for your green, high-tech, environmentally focused business. Contact your local San Jose team today to get a quote on your next project.